When I tell folks I’m in city planning, I’m invariably asked how I would design a city from scratch. My go-to answer: type “imacheat” into the dialog box and hope aliens don’t descend from the heavens and vaporize any skyscrapers. (That’s a SimCity joke folks, I’ll be here all week.) Kidding aside, I don’t have a lot of interest in crafting my own metropolis. As we’ve seen from megalomaniacal master planners like Le Corbusier and Robert Moses, it often yields something constricting and unnatural, like those weird square watermelons they have in Japan. Jane Jacobs, patron saint of human-oriented planning, always talked about the city having its own DNA. She’d tell you that planning in the classical sense is swimming against the natural order of human lives in close quarters. That’s why the best neighborhoods in the best cities -- the West Village in New York, Bairro Alto in Lisbon, Shibuya in Tokyo -- are more scattered and organic. It’s the way we’ve adjusted to living on top of each other. Trying to counteract that only yields stilted, synthetic urban messes. Most of the very walkable American cities grew up before cars made “planned communities” a thing. That’s no coincidence. These cities here, though, are the least-walkable in America, and offer a grab-bag of urban tragedy. They’re all painfully horizontal cities, built to satisfy cars more than pedestrians, and are only lately discovering the benefits of dedicated public transportation infrastructure. But they also have one thing in common: They’re all trying to change for the better. (Just like last time, we’re using two different exhaustive studies on walkability: Smart Growth America’s “Foot Traffic Ahead” and Redfin’s annual Walk Score rankings.) These might be the least-walkable cities in the country right now, but check in a few years from now. They’re working on it. Walking across Phoenix is like a slog through a desert, plus the occasional McDonalds. That people thought it was a good idea to move/retire to the Sonoran desert might have something to do with the city’s reputation as a transit and pedestrian wasteland: Half the time, it’s just too damn hot to be outside. 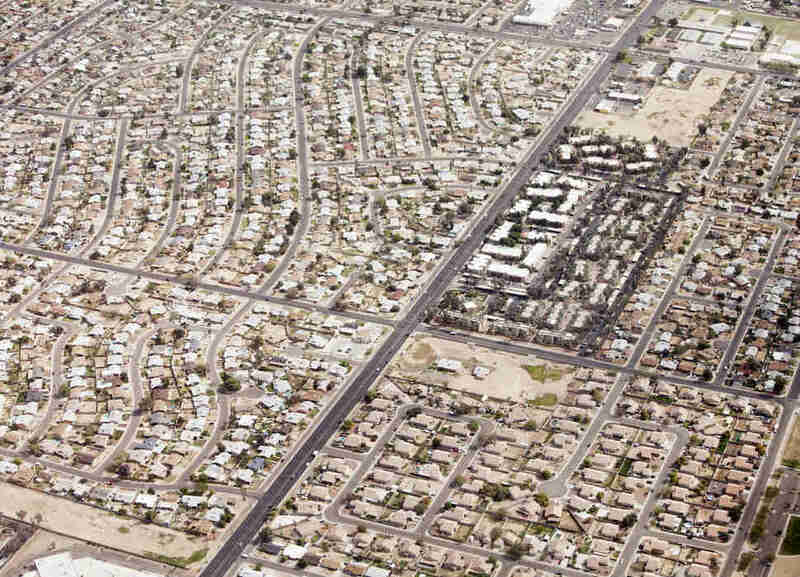 Combine that with the blob-like sprawl the city has embraced over the past few decades -- recall the Onion headline “New Study Finds Most of Earth’s Landmass will be Phoenix Suburb by 2050” -- and you have an urban area that almost requires you to have a car in order to live. Phoenix hasn’t shied away from spending on transportation projects in the past. It's one of the only cities on this list with a halfway decent light rail system, and it looks like the city is planning on investing heavily in public infrastructure thanks to the ambitious T2050 plan. Phoenix voters approved the the 35-year transportation development plan back in August of 2015; it promises several new rail lines, street improvements, and an overhauled bus program. That sort of public support is a huge signal that even cities dominated by suburban sprawl are moving toward a smarter, more accessible future. Las Vegas is really two cities. There’s the one most of us know: the glitz and gambling dominated by the Strip, Vegas’ neon spine. That city is easily accessible and connected by air-conditioned walkways and that Lyle Lanley-approved monorail that shuttles gamblers and bachelor parties from casino floor to casino floor. (It’s said that the monorail is powered entirely by human dignity.) The other Vegas is the one that only your blackjack dealer or concierge knows about, the one that demands a car to get around. That Vegas is home to a paltry transit network that places bus stops on unshaded 120-degree sidewalks. It’s dominated by snarling traffic thanks to roads that haven’t been overhauled since Sinatra and Dino were on the marquee at the Sands. That Vegas decided the crappiness of its bus system wasn’t going to prevent it from shoveling $750 million at the Raiders. The most high-profile of Las Vegas’ actual attempts to reimagine its urban network is Tony Hsieh’s “Downtown Project,” an initiative that sought to build a “City as a Startup” within Las Vegas’ city limits. Hsieh’s vision was more Moses than Jacobs, leading Columbia professor Leah Meisterlin to offer a withering critique of the project for The Avery Review. “Walking along Fremont, I felt no active excitement, spontaneity, or curiosity,” she wrote, “but rather the growth of a scripted narrative and a correspondingly enforced restraint.” Yikes. Luckily, Las Vegas is looking at more practical solutions to its development woes that will appeal to pedestrians. The Regional Transportation Commission of Southern Nevada recently unveiled a 30-year plan to completely reshape the city’s downtown. 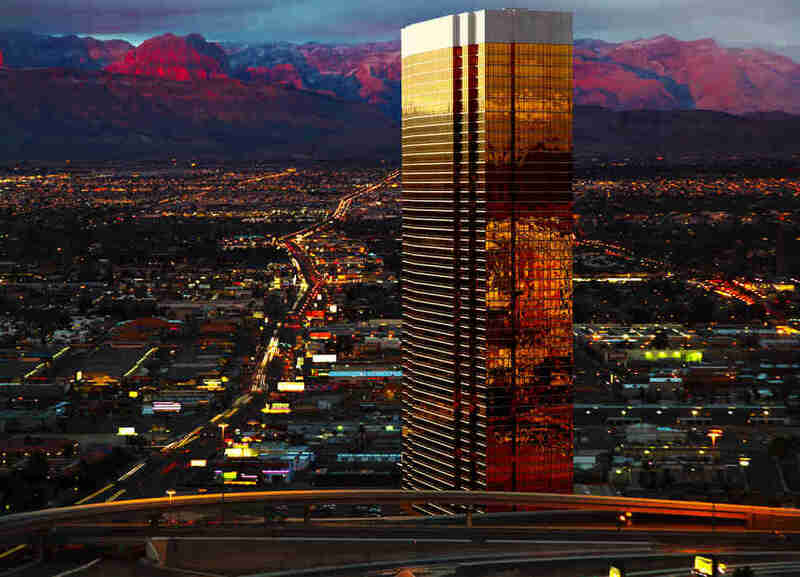 Look for Vegas to expand residential and commercial space in Vegas’ core and to build a transit system that connects McCarran International Airport to downtown and the Strip, potentially alleviating the most congested stretch of road in the state. I’m just going to get this out of the way: Everything actually is bigger in Texas. Even the city blocks, which, in the words of my friend and Dallas-native Dave feel “like the length of entire neighborhoods in New York.” Those gargantuan block lengths are actually a terrible move for walkability, since they discourage people from doing anything but hopping in a car the minute they get outside. 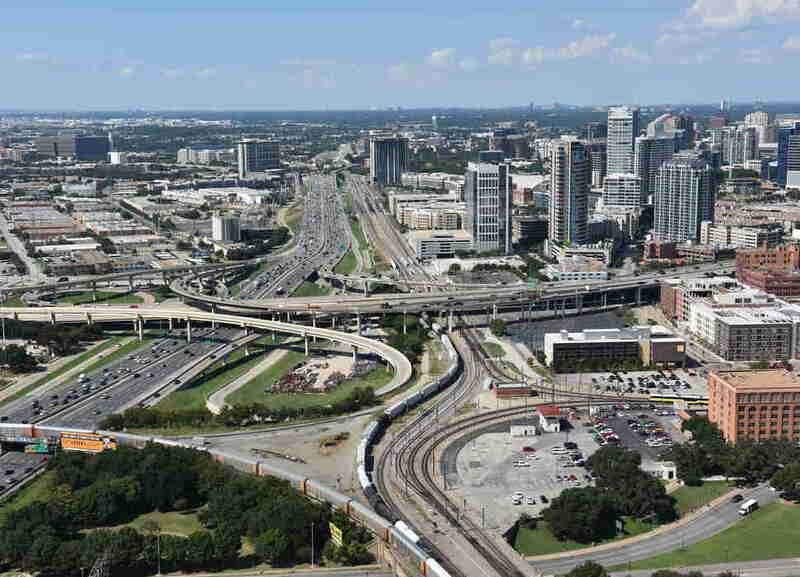 Dallas, like a lot of Sunbelt cities, sprawls mightily, built on the back of a housing boom that prioritized horizontal space to vertical density. Even the suburbs here are Texas-sized. Even Dallas is improving, though. The city has invested $5 billion to build the longest light rail system in America, with 90 miles of track. The hub-and-spoke network has ushered in a transit-oriented development boom circling downtown with neighborhoods like Deep Ellum, Uptown, and the Bishops Arts District all seeing a pedestrian-friendly renaissance over the last decade. Wasn’t the California city you were expecting, huh? Well, contrary to popular belief, Los Angeles is actually smack dab in the middle of Smart Growth America’s walkability rankings. San Diego sits near the bottom. The beachside city of more than a million isn’t terrible at any one thing when it comes to walkability, but it also doesn't excel in any of the metrics. That said, San Diego is trying to change that image. Its planning department is leading the charge as one the most innovative and progressive in the country. 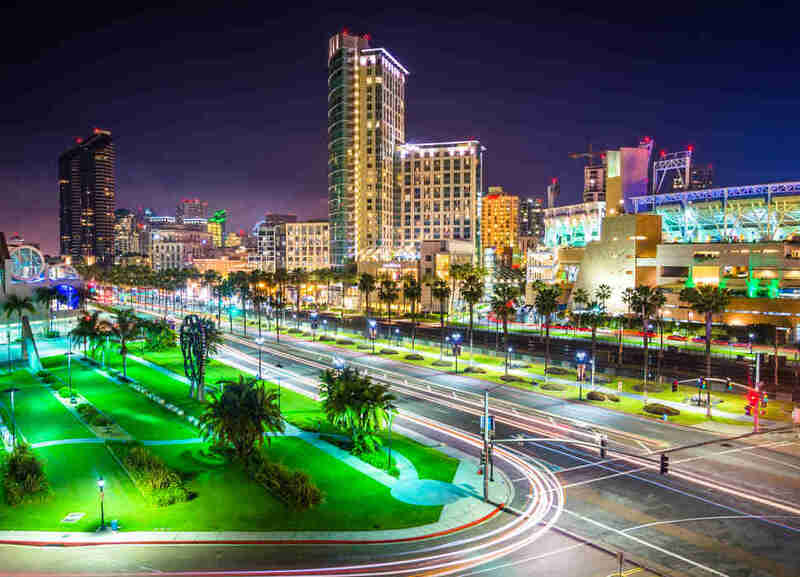 Case in point is San Diego’s attempt to become one of the greenest cities in America by reducing traffic in its congested downtown and expanding its bike lane network. San Diego also just committed $2.1 billion for a new light rail extension that will connect downtown to University City, potentially creating an 11-mile corridor of transit-oriented development that shrink the already slim list of reasons why we don’t all live in San Diego already. I have never been to Oklahoma, as I am not down with tornadoes. But I did talk to my good friend Pat, who was born and raised in OKC, about his hometown. 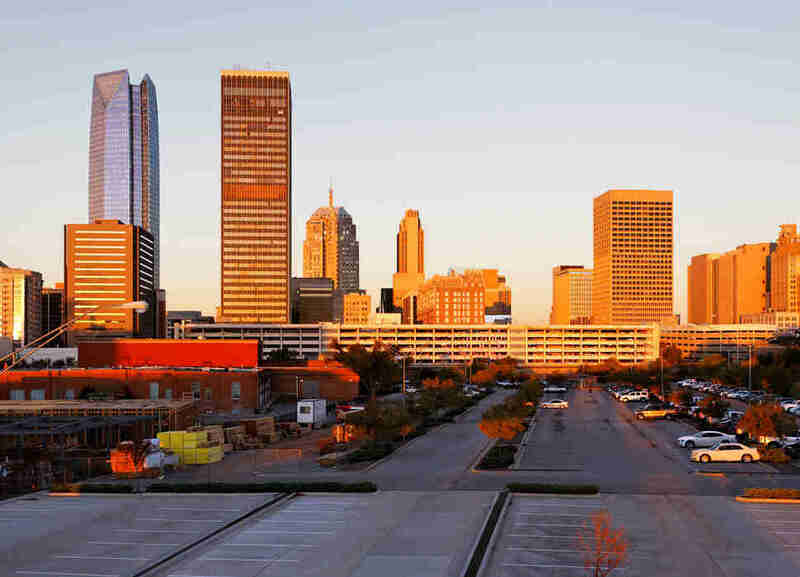 “The problem is that once you get away from Bricktown and [home of the Thunder] Chesapeake Energy Arena, it’s incredibly unwalkable,” he told me. “OKC is almost the same size as Los Angeles but our public transit system is even worse if you can believe it.” That’s damning criticism and the data backs it up: OKC scored a dismal 32.1 on Redfin’s Walk Score, the worst of any city on this list by a wide margin. If Disney World was a neighborhood, then, yeah, maybe Orlando doesn’t make it on this list. 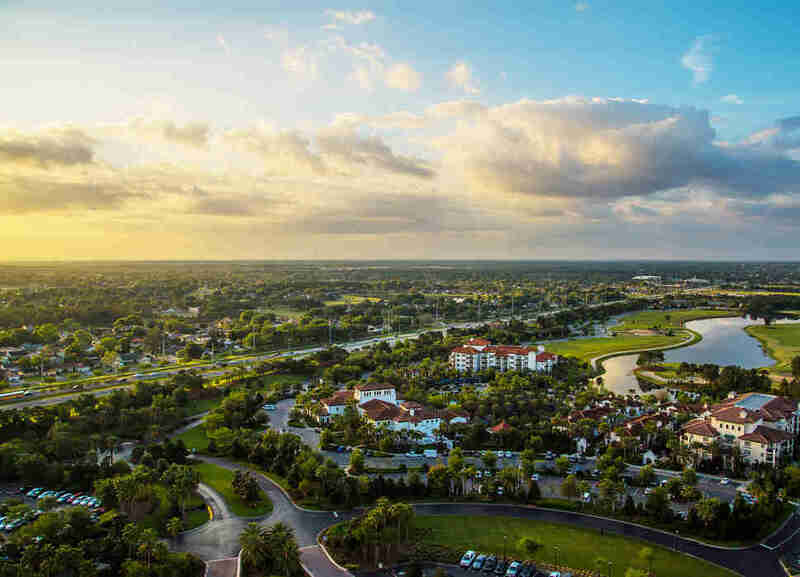 But since the closest you can get to living in the Magic Kingdom is in the planned community Celebration a few miles to the southwest, Orlando stays. The city is one of those odd conurbations that seemed to rise out of sunshine and low taxes, and, thanks to the state’s development boom in the ‘70s and ‘80s, it’s mostly composed of tract housing and planned communities. When you’re aiming for dense development, subdivisions are basically lost causes; you’re not going to replace single-family homes in gated communities with mixed-use development anytime soon. Orlando’s image as a loosely associated constellation of suburbs is hard to kick, even communities like Baldwin Park that have embraced New Urbanism (yes that’s big N, big U) are still heavily car-oriented. Orlando has two things going for it right now: year-round sunshine and college campuses. The University of Central Florida is America’s largest college campus, and school administrators have the opportunity to make their sprawling grounds into something of an urbanist experiment by expanding bike infrastructure for students and opening up more mixed-use development. 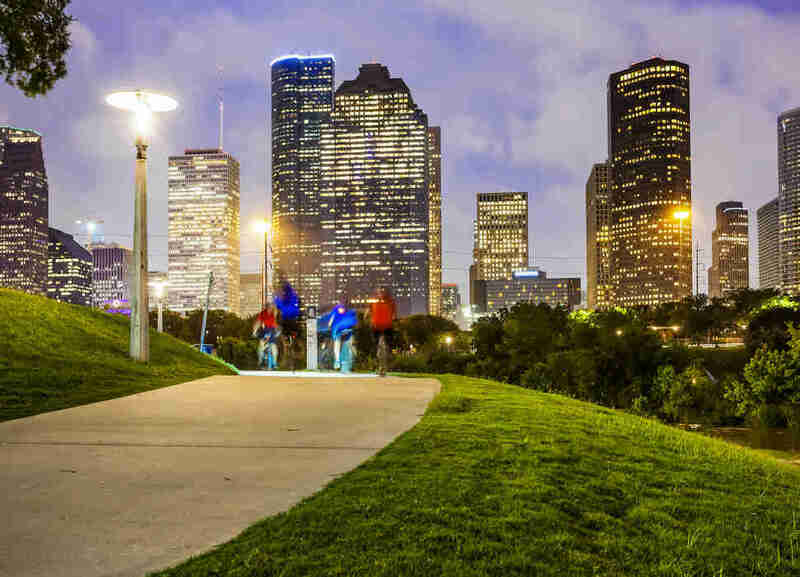 The city is also supporting its cuter, trendier enclaves as islands of walkable commerce within a city that still commutes largely by tollways and turnpikes. Listen, Nelly didn’t say “I’m goin’ down down baby, yo’ street in a light rail car,” OK? St. Louis has been defined by its sprawl since WWII; between 1950 and 2000 the city limits grew by 260% while its population only ticked up 48%. 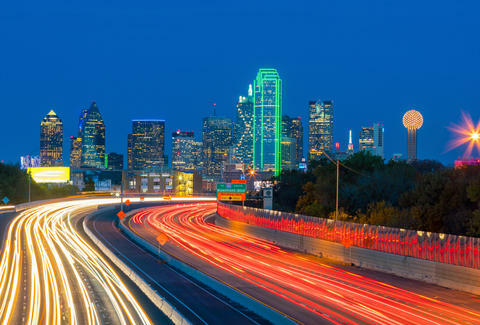 It’s also one of the most car-oriented cities in America with the second-most highway miles per capita among cities with more than a million people, according to Streetsblog. 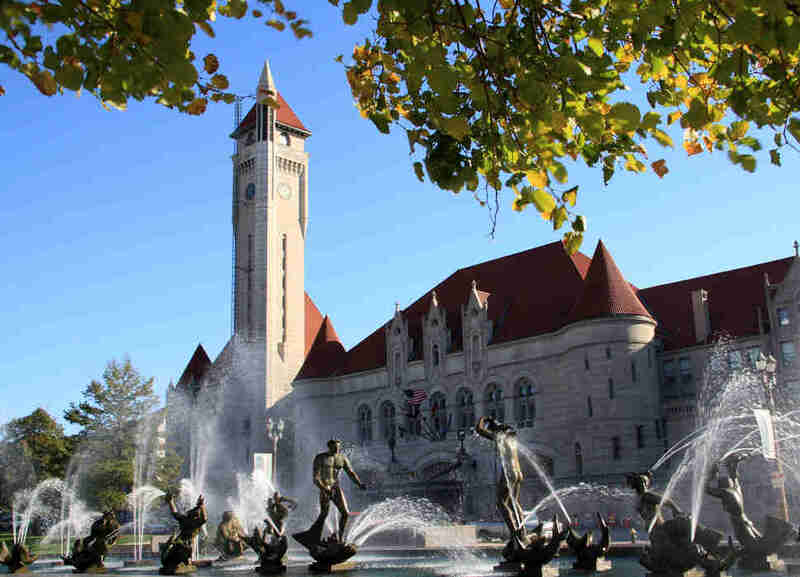 Those two ignominious distinctions have created something of a perfect storm in Missouri’s largest city where even its downtown has been hollowed out. A Brookings Institute study found that only about 8% of folks who work in St. Louis do so within 3 miles of the city’s central business district. Like many of the other cities on this list, St. Louis is trying to remake itself by encouraging transit-oriented development and mixed-use space. The city is near to closing the books on a the first phase of a light rail project that had languished for two decades, the final length of which will connect the University City and Forest Park neighborhoods. Union Station underwent a successful $25 million renovation in 2013 that was followed up with an additional $100 million investment in 2016. (While private development projects don’t necessarily change the DNA of a city as far as walkability goes, it does give St. Louis a marquee downtown magnet it was lacking. No, the Arch doesn’t count.) One upside of all this built-up sprawl: Many St. Louis suburbs function passably as legit small towns. Of course the former cradle of automobile production made this list. Detroit was around long before Henry Ford started rolling out Model Ts in the 1920s, but development throughout the 20th century orbited around the city’s most famous product. Detroit has also seen hundreds of thousands of urban residents abscond for the suburbs which has emptied out city coffers and fed a belt of sprawling suburbs. The Motor City is finding its feet again after a devastating recession; for now the best way to see the city is behind the wheel of a couple thousand pounds of American muscle. 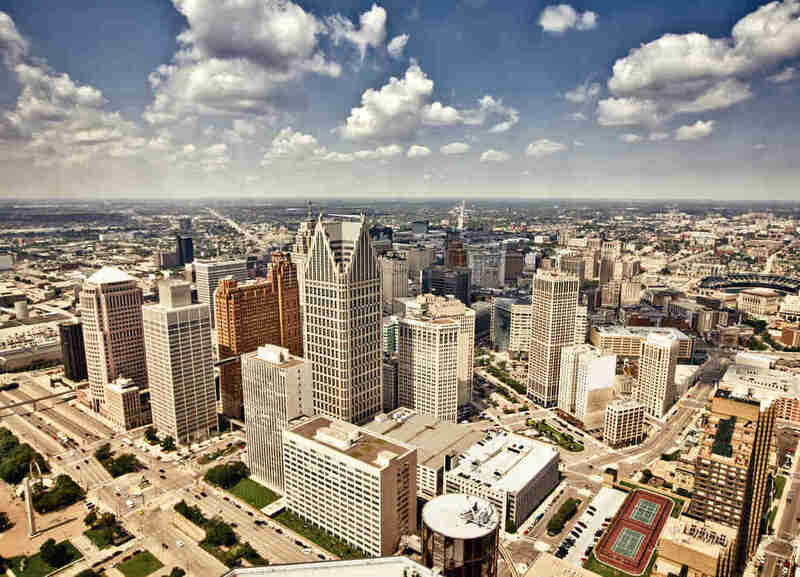 Detroit still ranks near the bottom of Smart Growth America’s rankings but there is a silver lining: For increasing walkability, the city came in third overall. That’s thanks to several major developers investing hundreds of millions of dollars in the city’s revitalization, culminating in Dan Gilbert’s decision to move Quicken Loans headquarters -- and 11,000 jobs -- downtown. Corktown, Detroit’s oldest neighborhood, and Midtown are two neighborhoods to check out on foot and, with the recent opening of the city’s long-awaited light rail system, by streetcar as well. T.M. Brown is a freelancer and recovering city planner based in New York City. He will talk to you about gas taxes and hip-hop with equal passion. Follow him on Twitter: @TM_Brown.